German football giant, Bayern Munich has opened a second football academy in Shenzhen, China. This was done to strengthen the relationship between the German football club and China and also to improve the game of soccer in the country. According to the Bayern spokesman, Jörg Wacker "We want to reinforce snd increase the visibility of our values in China". To clarify the certificate saga, Senator Dino Melaye appeared before Senate committee on Ethics, Privilege and Public Petitions in Ahmadu Bello University's (ABU's) academic gown along side with the Vice Chancellor (VC) of the institution, Professor Ibrahim Garba. The Senate committee was mandated to probe into Dino's certificate saga on Monday. 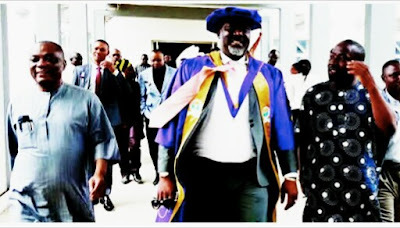 The VC had earlier announced that Dino was a student of ABU that he graduated in the year 2000 with a Bachelor degree in geography with a third class. 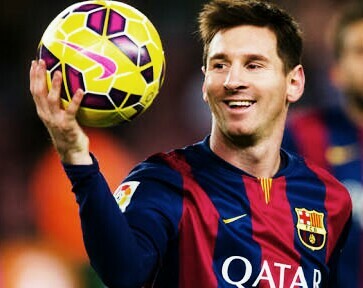 Messi Faces 4-Match Ban And Pays Fine Of $10,170. Argentine International and Barcelona forward, Lionel Messi has been banned for four Argentina matches for insulting an assistant referee in the World Cup qualifying match against Chile on Thursday. The match ended 1-0 in favor of Argentina, Messi was also fined $10,170 and he was expected to miss the qualitying match against Bolivia on Tuesday. 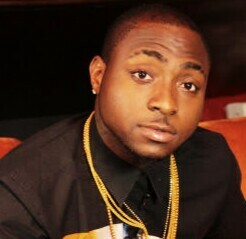 Nigerian pop star, Davido is in another paternity mess, where he vowed not to do another DNA test. 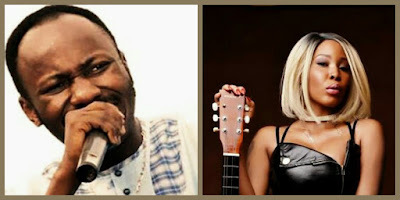 He denied the paternity of the baby, Aanuoluwapo who was given birth to by one of his baby mama, Ayotomide Enitan Labinjoh. He said he had never had any encounter with Ayotomide, that she just came to his house to tell him he is the father of his child. 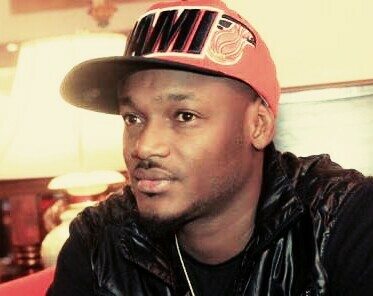 He denied the allegation and said Ayotomide is an opportunist that is looking for money and fame by all means. Davido insisted he is not the father of the baby because a DNA test had been conducted and the test result was negative. 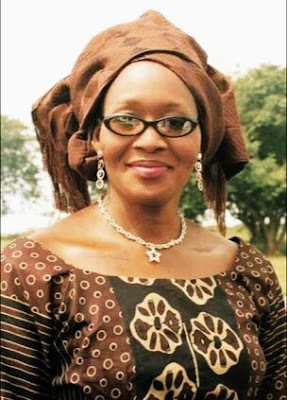 The daughter of a former governor of Oyo State, Kemi Olunloyo has been arrested by the police in Ibadan, Oyo State. The controversial journalist was arrested yesterday by police for questioning. Kemi took to her social media handle to share the info. Only God knows who is telling us the truth, Stephanie Otobo or Apostle Johnson Suleman. Did the claimed abortion actually happened? Why has the matter not been reported before now? Is Apostle Suleman really guilty of the claimed offence? No one knows, there are so many questions begging for answers. 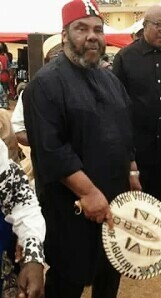 Nollywood movie icon, Pete Edochie turned 70-year-old on March 7, 2017 as family and friends came together to celebrate him. Edochie is known for his strict roles he plays in Nollywood movies, he has taken part in many movies but he would not be forgotten for his role in Things Fall Apart. Kogi State Governor, Yahaya Bello has appointed popular Nollywood actress. 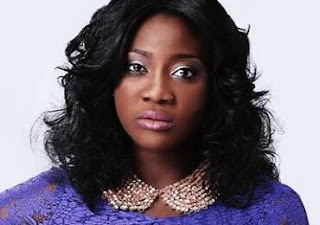 Mercy Johnson,32, as his Senior Special Assistant on entertainment, arts and culture. The Nollywood star appointment was made known on Tuesday 14 March alongside 53 other Senior Special Assistant (SSA) to Governor Bello. According to the Secretary to the State Government, Mrs Ayoade Arike the appointments of the new SSAs will take effect from April 1, 2017. The first daughter of Donald Trump, Ivanka Trump is filled with excitement as her fashion line is getting attention and more sales. Before now Ivanka's fashion line was not getting any serious attention. According to Forbes, in January, the fashion line was ranked 550 according to the number of orders from Lyst, the biggest fashion e-commerce website in the world. 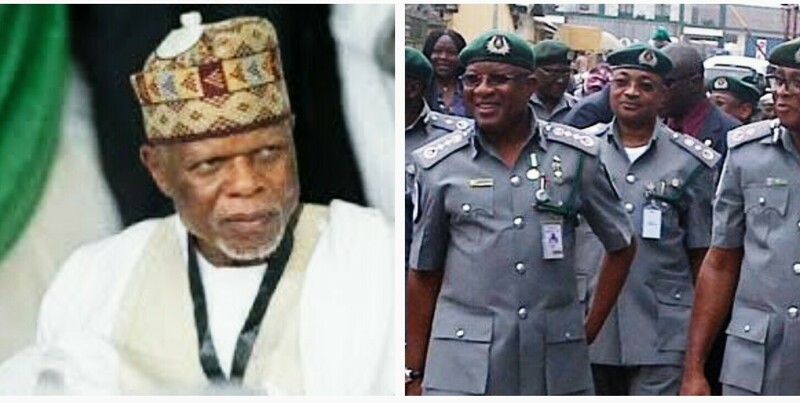 In the quest to reduce activities of smugglers, porous borders and also to generate revenue, the Nigeria Customs noss, Col. Hameed Ali (Rtd) gave directive that motor dealers snd private owners of vehicles whose customs duty has not been paid to do so between Monday, 13 March, 2017 and Wednesday, April 12, 2017. He added, "There will be an aggressive anti-smuggling operation to seize as well as prosecute owners of such smuggled vehicles after the deadline of Wednesday, April 12, 2017. What went wrong? Was it just jealousy that made an Air force personnel to kill his girl friend who is also an Air force personnel. 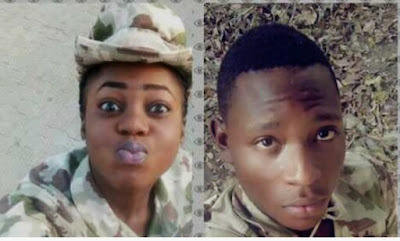 The Nigeria Air force personnel, Lieut Kalu in Markurdi, Benue has reportedly shot his girl friend, Oladipupo Solape dead who was also an Air Force personnel. 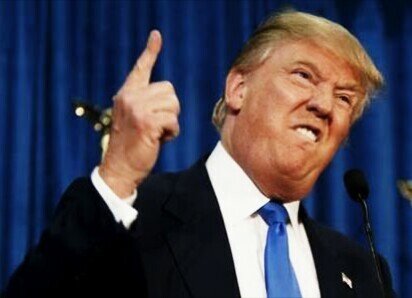 United States' President, Donald Trump has ordered the resignation of 46 US Attorneys appointed during Obama's 8-year regime. According to the spokeswoman of Justice Department, Sarah Isgur Elores the Attorney General Jeff Session had said "all remaining 46 presidentially appointed US Attorneys to tender their resignations in order yo endure a uniform transition". Fans are seriously angry with the poor performance of the Paris Saint Germain (PSG) at the last UEFA champions league match against Barcelona football club of Spain.The fans have blamed the poor outing of the PSG team on their late night party with Rihanna two days before the team suffered 6-1 defeat in the hands of the Laliga giant. The American singer, Rihanna was in Paris, France to launch her clothing range made by sportswear company Puma. 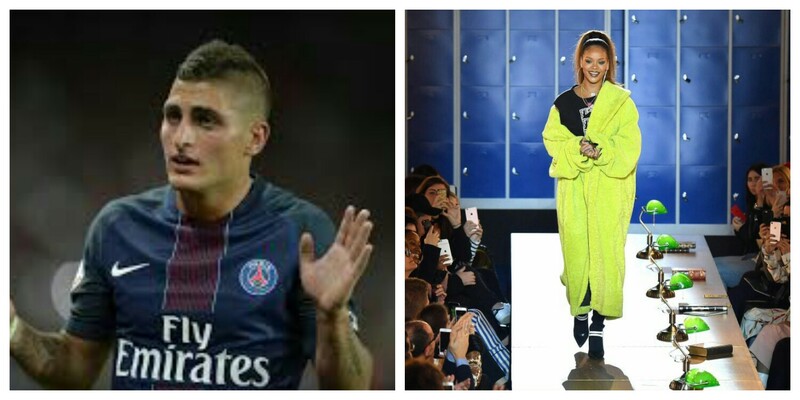 The fashion show was well attended by actresses, actors, models football stars. Among the football stars were Italian International, Marco Verratti snd French star, Blaise Matuidi. 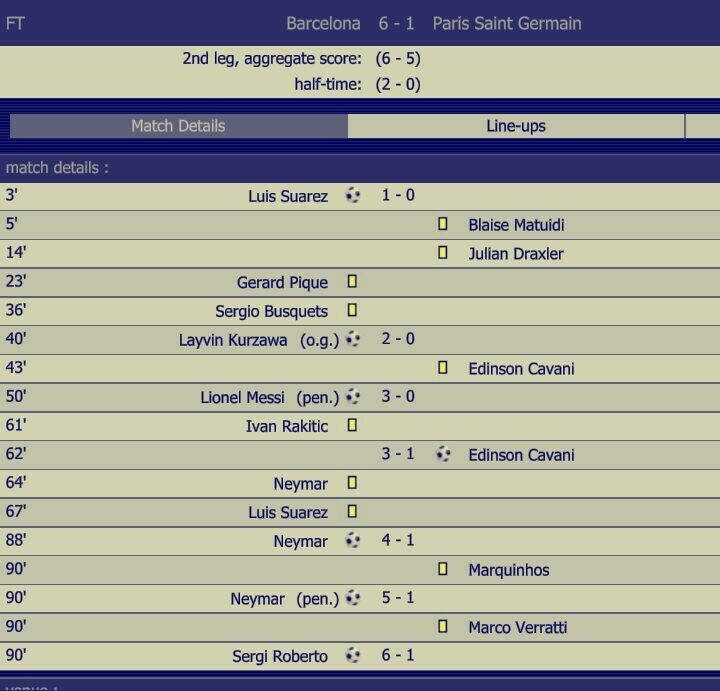 Was The Officiating Between Barcelona And PSG Free And Fair? There have been arguments over the officiating of the UEFA champion league match between Barcenola football club of Spain and the French giant Paris Saint German (PSG). 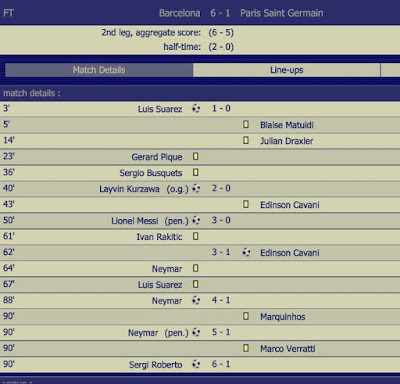 The first leg took place in France where PSG nailed Barca 4 goals to nothing. But it was so surprising at Spain that it was by force PSG managed to score a goal in a match that ended 6 goals to 1 in favour of Barcelona on Wednesday 8, 2017. Back home in France angry PSG fans vandalized PSG's vehicle as they arrived due to the defeat they suffered in the hands of Barca. Pregnant Ciara Involves In Auto Crash In Los Angeles. Pregnant US singer, Ciara was learnt to be involved in car accident today in Los Angeles, United States. 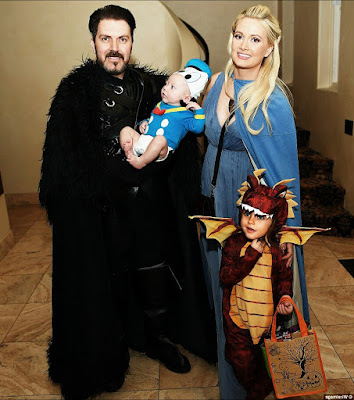 The singer who is expecting her second child with her husband Russell Wilson was trying to make left turn with her white Mercedes Benz Sport Utility Van (SUV) when a Volvo SUV crashed into her SUV. The Volvo SUV hit the front passenger side of the Ciara's vehicle. None of the two drivers sustained injury from the accident. The Edo state government led by the number one citizen of the state, Godwin Obaseki has set aside seven days mourning period for the former governor of the old Bendel State, late Dr. Samuel Ogbemudia. 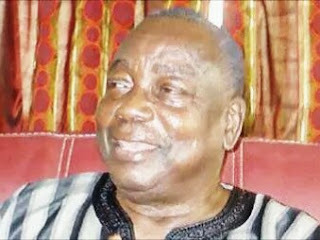 The mourning period for the two-time governor of the old Bendel state would start from March 10, 2017. The deceased governed Bendel state which is now Edo and Delta State conscientiously. Holly Madison and her husband, Pasquale Rotella have sold their Los Angeles luxury home for $8.2 million. 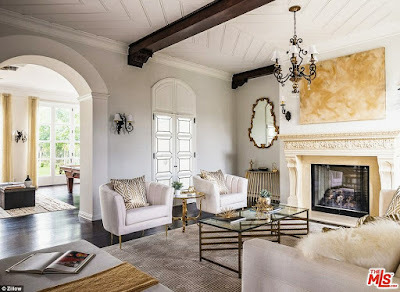 The former Girls Next Door star and her hubby sold the luxury estate last week. The estate that was measured to be 8,500 square-foot was bought by the couple in 2014 at the rate of $7.1 million. From the sale of the estate the couple have made a profit of $1.1 million which is pretty cool. Apart from that they have another property in Las Vegas which they acquired in 2013 for $3.47 million. The luxury home is a 2-storey building which contains 6 bedrooms and 8-and-1/2 bathrooms, a very big kitchen with a 20-foot marble Island, a dining room, an ernomous master bedroom with a fireplace, a game room, a wine cellar, built-in bar and drop-down movie projector, a rooftop deck, lush landscape garden, a built-in barbecue, a pool and spa. The Vice President, Professor Yemi Osinbajo celebrated his 60th birthday on March 8 at the Aso Rock villa, Abuja. The gathering recorded lots of personalities in attendance. 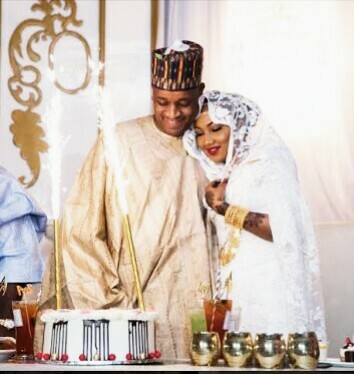 The daughter of President Muhammadu Buhari, Zahra and her husband Ahmed Indimi were also spotted at Osinbajo's birthday as they were all having fun . The Senate led by Dr Bukola Saraki has ordered the Comptroller-General of Customs Service, Col. Handed Ali(Rtd) to appear in appropriate Nigeria Customs uniform. It has been noticed that since inception as the Customs boss, Ali never wore the Customs uniform. Ali was told to appear before the Senate in correct Customs uniform on 15th March this year to throw light on the issue of Customs Tax Duties on vehicles. Nigerian music star,Innocent Idibia popularly known as Tuface or 2baba has donated N3.5 million to Internally Displaced Persons (IDPs) in Nigeria. The African Queen crooner donated the said amount to the IDPs because, he said "I was not pleased with the conditions at the IDP camps when I visited recently. Considering the suffering and deprivation that those people have gone through, I decided to contribute my own bit. 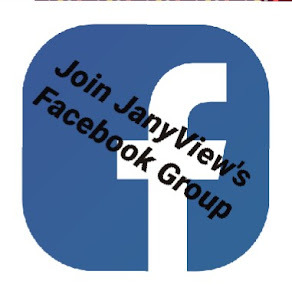 These are ourfrllow citizens we are talking about here and I think that everybody who is in a position to help should do so. The United Nations High Commissioner for Refugees (UNHCR) is doing a great job and this our own way of supporting them". 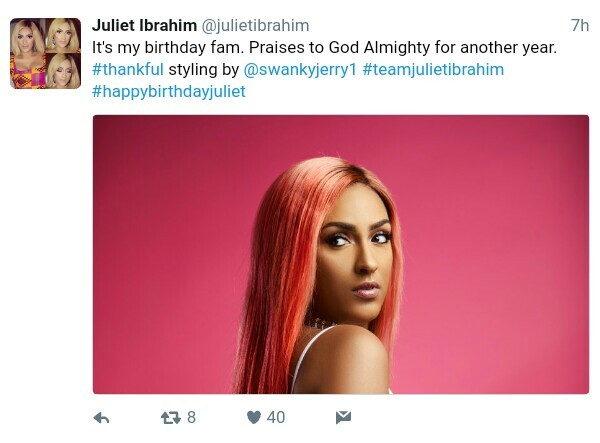 Ghanaian actress, Juliet Ibrahim celebrates her birthday today. The Ghanaian actress was born in Ghana on 3 March, 1986 to a Lebanese father snd a Ganaian-Liberian mother. 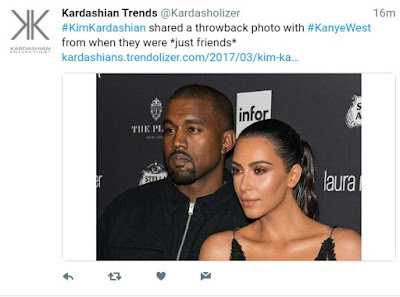 American reality TV personality, Kim Kardashian has shared throwback photo of herself and her husband, Kanye West. The TV personality shared the photo on her twitter handle from when they were *just friends*. 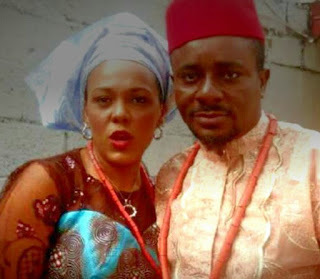 The Court has dissolved seventeen-year-old marriage of Nollywood star, Emeka Ike and his wife, Suzanne Emma. Suzanne had filed for divorce to opt out of the marriage due to ill treatment she got from his husband. 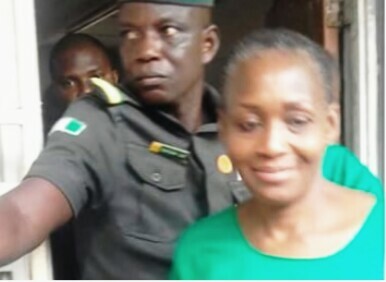 According to Suzanne, she accused Emeka of beating her, torture which she could no longer cope with again, she added that she had dropped the photocopy of the bank draft of N300 Emeka's family paid for brideprice to the court last year july. 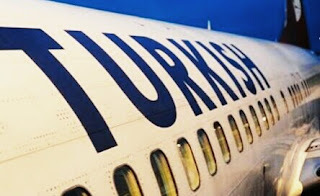 Two passengers traveling on Turkish Airline yesterday missed their flight at Murtala Muhammed International Airport, Lagos as they were not able to check-in and obtain their boarding passes. According to the Germsn, he was held up in traffic by the time he got to the Airport it was late, as for the Nigerian passenger he did not know the time the counter was going to close so by time he got to the airport he was disappointed. 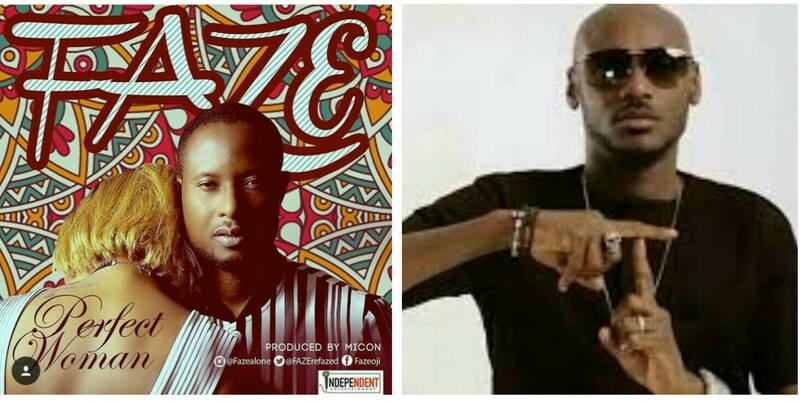 Innocent Idibia popularly known as Tuface or 2baba as fondly called by his fans has decided to put his differences with his former group member, Faze aside to promote his new single titled 'Perfect Woman'. Tuface and Faze belonged to the group called Plantashun Boiz which also included Black Face who was the third member. The defunct group started their misical career in the early '90s and reigned through early 2000 before they all went solo. It was rumoured that the three of them had misunderstand that led to their break up , ever since then they have been doing things separately. It would be noticed in the recent times that Black face and Tuface have had face off, from claims of ownership of Tuface's African Queen by Black face to the blast by same Blackface on proposed protest by Tuface and more. Apart from the President of United States, Donald Trump that had telephone conversation with President Buhari in London, Moroccan Monarch , Mohammed VI of Morocco also had a phone conversation with Buhari yesterday in London where he is on vacation and also receiving medical attention. 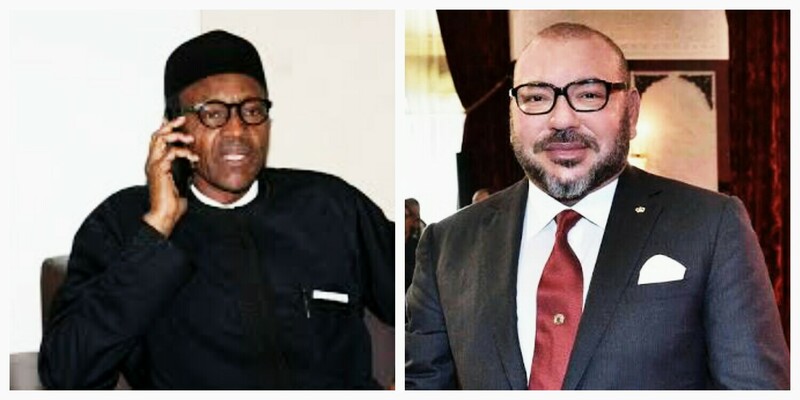 According to Special Adviser on Media and Publicity to President Buhari, Mr Femi Adesina the Monarch had called Buhari to find out about his health and both of them discussed about the current stage of the big project that is going on between Morocco and Nigeria, the Morocco-Nigeria Atlantic crude oil pipeline. 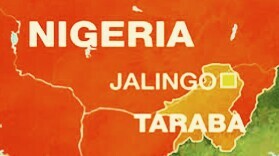 Law Officers In Taraba State Kick Against Salary Slash. The laws officers in Taraba state are not happy over the review of their salaries and allowances.The law officers in the state are on strike due to slash in their salaries and allowances for almost a year. The law officers had fought seriously for their salaries to be upgraded to meet up with their immediate needs. They complained that prices of goods and service are on the high side couple with the salary slash. 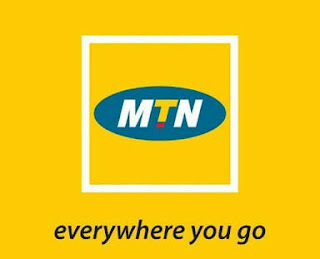 MTN Nigeria Apologies To Customers Over Poor Services. For some days now MTN subscribers across Nigeria have been experiencing poor services from the telecommunication giant. There were series of complaints from customers that ranges from unable to make calls, unable to receive cslls, call failure, unable to browse the internet, unable to make online transactions and lots more. 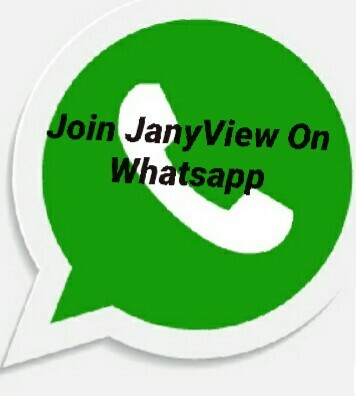 The telecommunications giant has appologied to customers and urged them to be patient that the network is having some isdues which are currently getting experts attention. Efforts are being made to make sure all activities are back to normal. 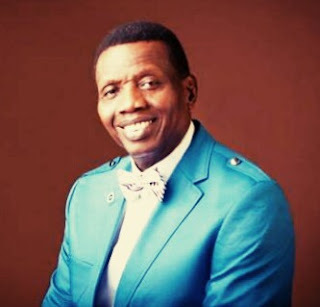 The General Overseer of popular Redeemed Christian Church of God (RCCG), Pastor Enoch Adeboye is 75 today. The number one citizen of Lagos state. Governor Akinwunmi Ambode has given his own part of the birthday wishes as he celebrates him. The former Mathematics lecturer turned pastor has been described by Governor Ambode as a man of God who has tirelessly displayed passion to expand the great work of God. The outstanding man of God is a father to million of people both home and away, he is a role model who they look up to.He is not just a blessing to Nigeria but a blessing to this generation. The acting Chief Justice of Nigeria (CJN), Walter Samuel Nkanu Onnoghen has been appointed as the substantive Chief Justice, Onnoghen was screened today by the Senate led by the Senate President Dr. Bukola Saraki. 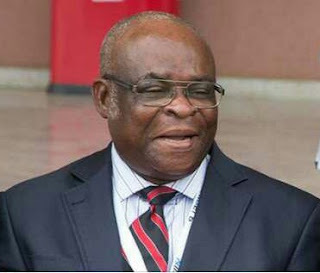 Onnoghen was born on December 22, 1950 at Okurike Town, Biased local government, Cross River State. He studied law at the University of Ghana, Legon, Ghana in the year 1977.